Stoic Week 2014 will take place starting November 24th. Please visit the site for details. 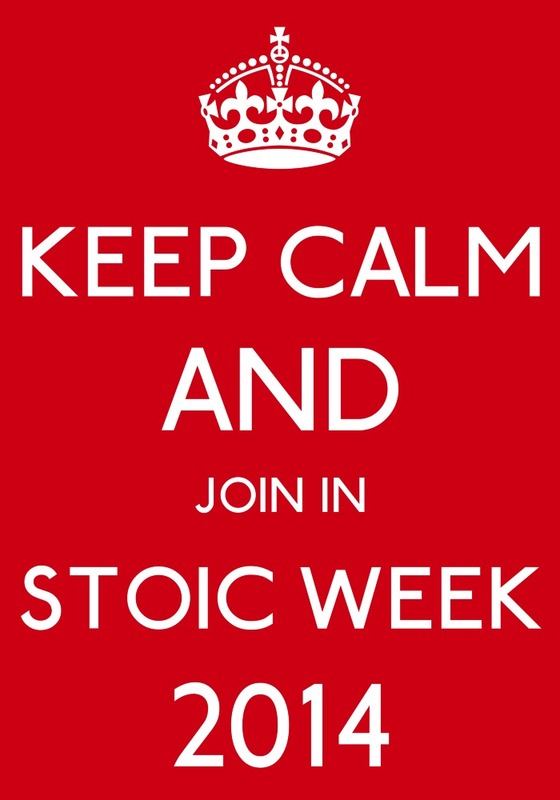 Stoic Week 2014 will be happening from November 24th-30th – save the dates! N.B. During Stoic Week, the blog will feature personal stories and testimonies about how Stoicism has been useful in people’s lives. If you would like to write on how Stoicism has helped you (the account can be written under a pseudonym, if you like), then please get in touch. If you are planning on organising an event during Stoic Week, whether a talk or a meet-up group, for example, please also get in touch. I’ll be putting together a page with all the different events going on. More details about Stoic Week 2014, which was followed by over 2,200 people last year, will be announced in due course, but for the moment here are details of a Stoicism Today Event in London, to be held on Saturday, November 29th, at Queen Mary, University of London. You can book your place at the event here. You can join the Facebook group for Stoic Week 2014 here. “This is the second annual Stoicism Today event, and the biggest global event on Stoic philosophy in 2014. It brings together leading experts on Stoicism and its modern relevance. Greatly looking forward to another Stoic day. Is there any chance of one keynote Stoic lecture from one of your panel’s experts? An obvious candidate is Christopher Gill on Marcus – given his recent translation and commentary. That would give some variation from the otherwise most enjoyable discussions and workshops. Many thanks for your message, Roger and yes, I think the Stoics will get a slightly fairer hearing this year, alright! 🙂 There will be an interesting range of keynotes and also Stoic life stories – personal testimonies of how people have been benefited by Stoicism. I can’t wait for this to start again. Can you guys include a live chat component, using Google Hangouts again? I second this thought. For people who are truly interested and passionate in these subject areas but don’t have the means to get to the exact destination, a live video component would be extremely beneficial and rewarding. Thanks both. I’ve made a note of both suggestions and will send them on. We’ll do our best.